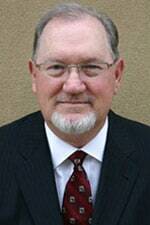 Wade Hutto is a founding member of Highland Lakes Title and Hutto & Lucksinger Law Firm. Mr. Hutto has represented individuals and businesses throughout the Hill Country in a wide variety of matters including general civil litigation, real estate, business organization, banking, probate and estate planning for over 40 years. 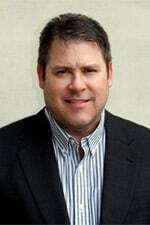 Michael Lucksinger is a founding member of Highland Lakes Title and Hutto & Lucksinger Law Firm. He has been practicing as an attorney and counselor at law for over 40 years. Mr. Lucksinger represents businesses, banks and individuals in many capacities, primarily in real estate transactions, business and estate planning, and probate. He is also a Texas licensed certified public accountant. 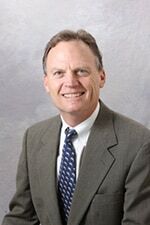 Bill Lehmberg joined the Highland Lakes Title team in April of 2008 as Vice President. Bill served as Vice President for Highland Lakes Title before being named President in January of 2011. Bill oversees Highland Lakes Title’s five (5) branch office locations and their Burnet and Llano County plant operations. Prior to coming to Highland Lakes Title; Bill served as Vice President of Capital Farm Credit’s Mason County Branch office. Bill received his undergraduate and graduate degrees from Texas Tech University. Tracey Becker started in the title business in March 1983. She worked for years in the Dallas and Austin markets before returning to the Hill Country area where she grew up. Tracey joined Highland Lakes Title in 1998, specializing in commercial, residential and subdivision development. She was promoted to Executive Vice-President of Escrow Operations in 2003. Ms. Becker has been active in her community as a leader in her industry related associations along with school booster clubs and 4-H. She understands the importance of community involvement and supporting the local area youth and businesses. 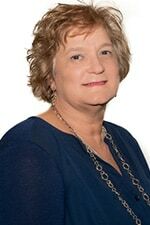 Ms. Becker has over 36 years of experience in the title industry. 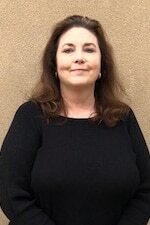 Rayma Roberts joined Highland Lakes Title in 1999. She was promoted to Executive Vice President/CFO in 2003. She manages the finance, technology and Human Resources departments of the company. A Texas native, Ms. Roberts began her career in 1982 employed by local CPA firms.